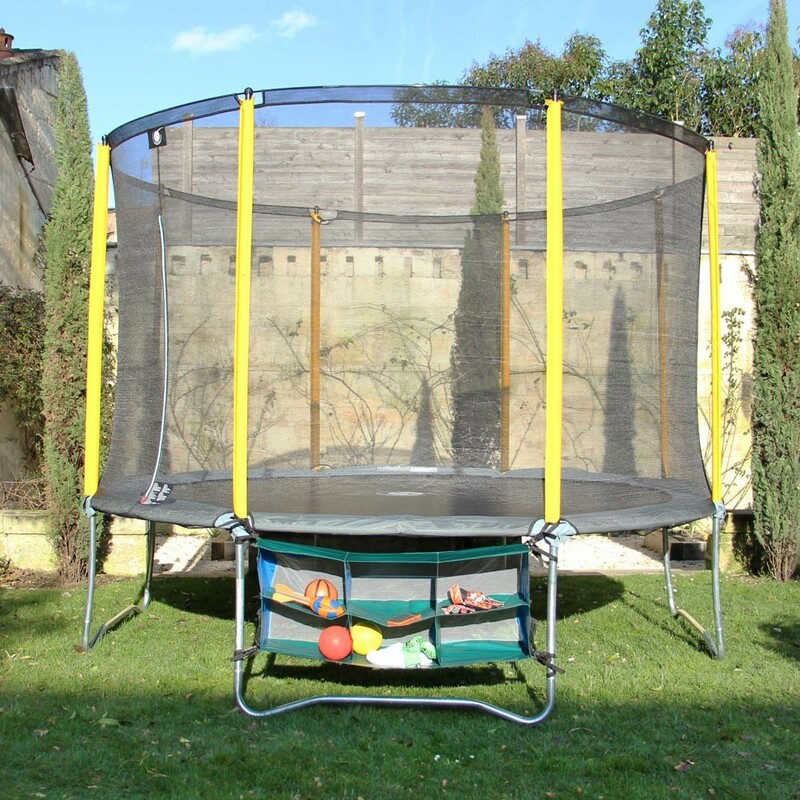 Put your belongings away before bouncing on your trampoline! 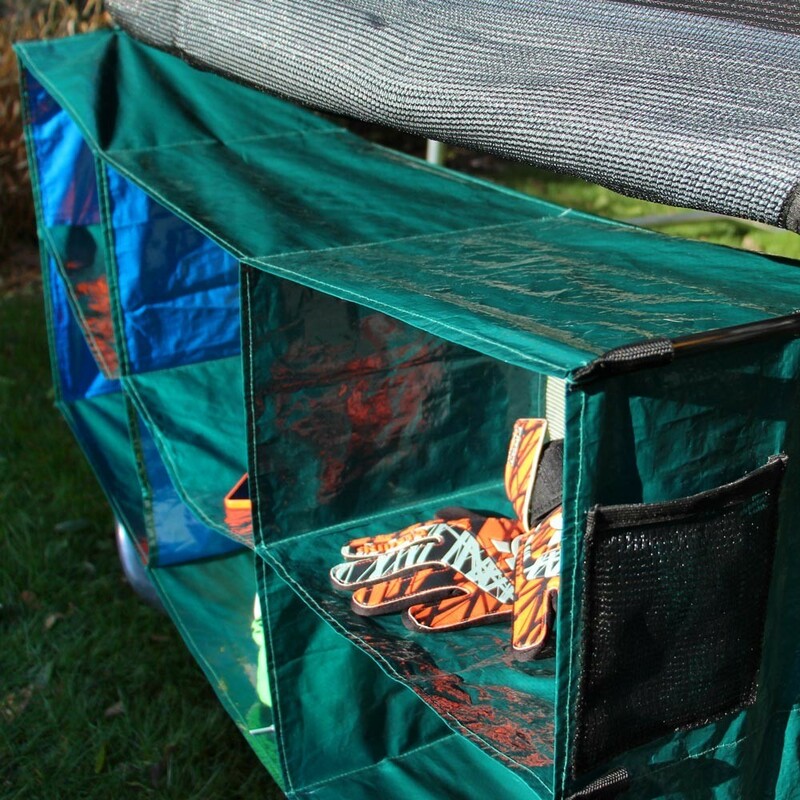 - Ideal to store shoes and small objects, this shoe storage has 6 boxes that can hold you belongings that could potentially damage your jumping mat. 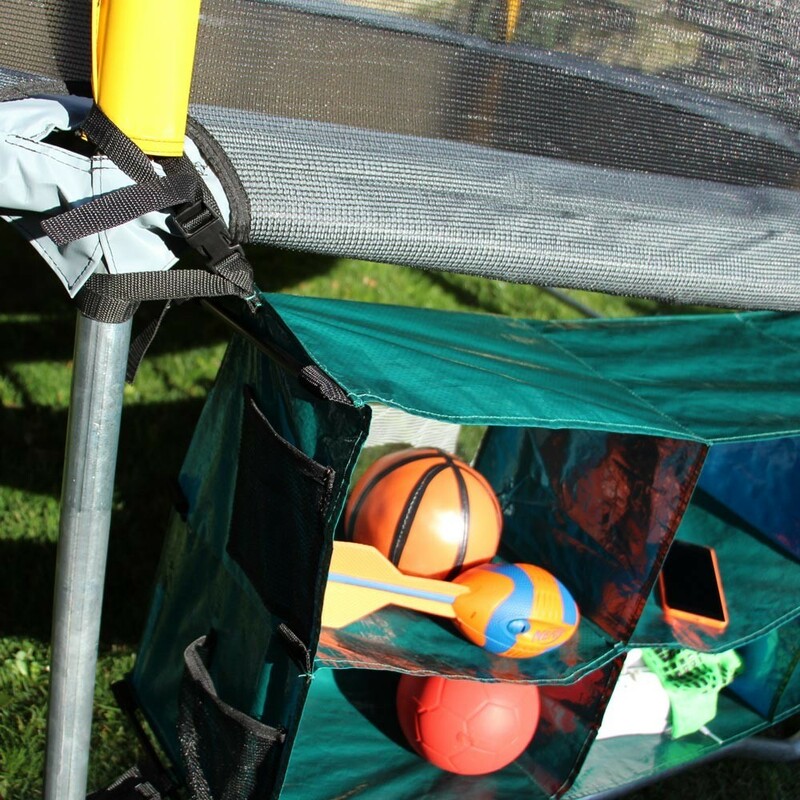 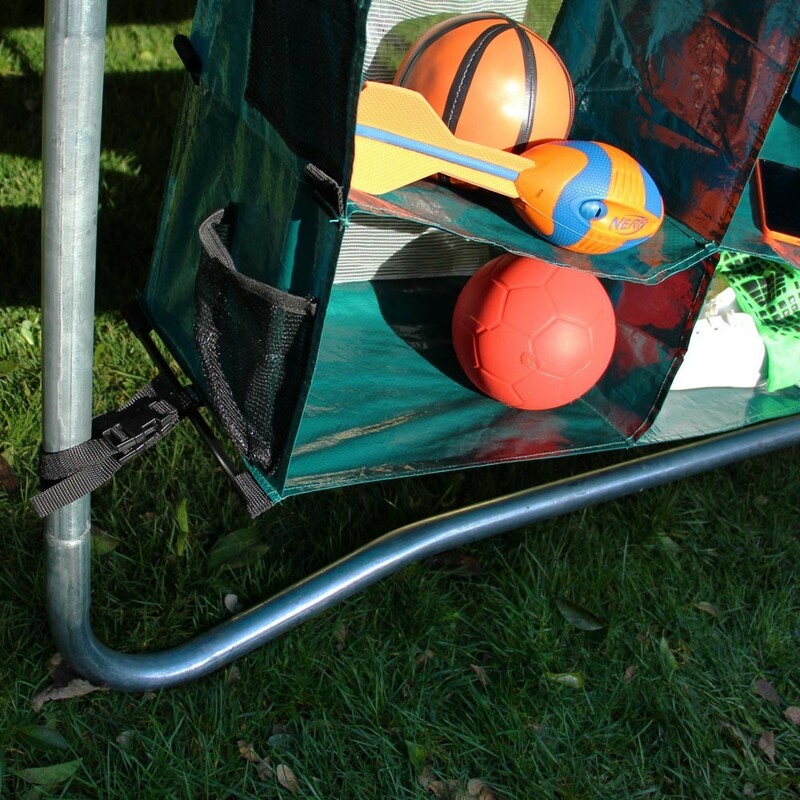 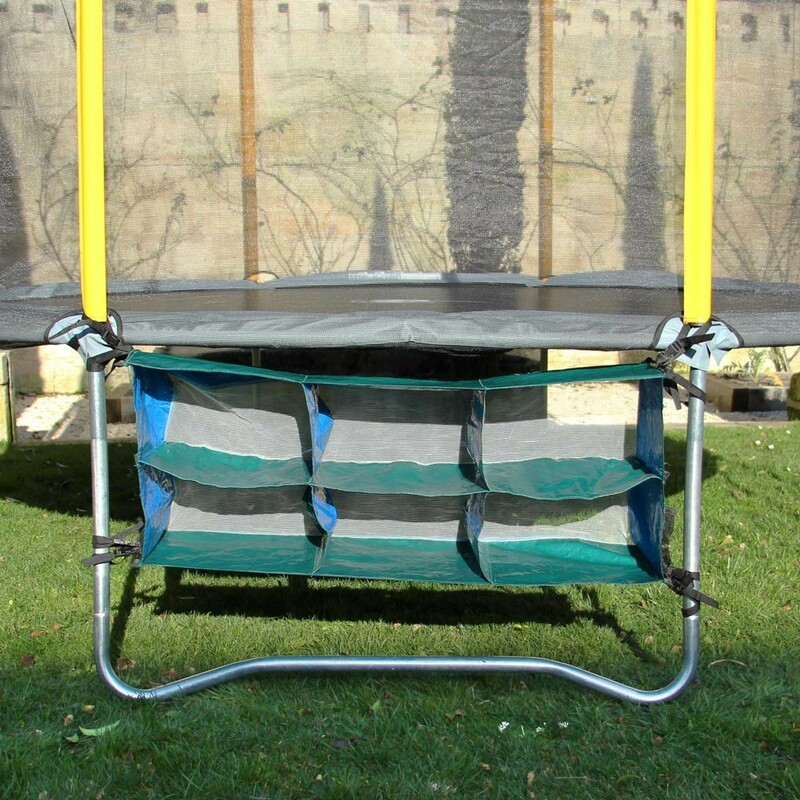 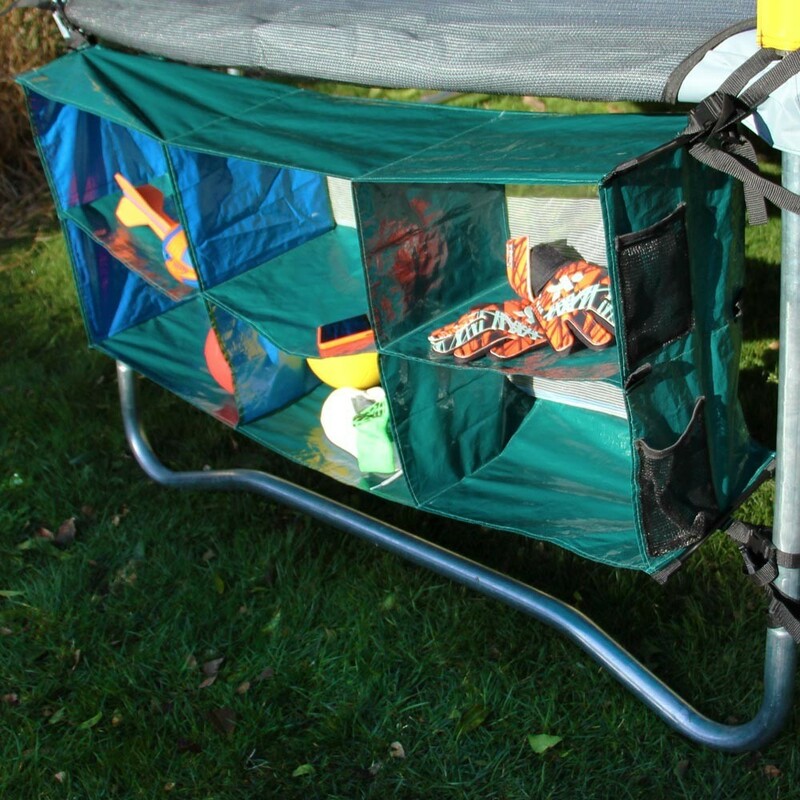 - Quick and easy to install, you can attach it to the feet of your trampoline with 4 adjustable straps. 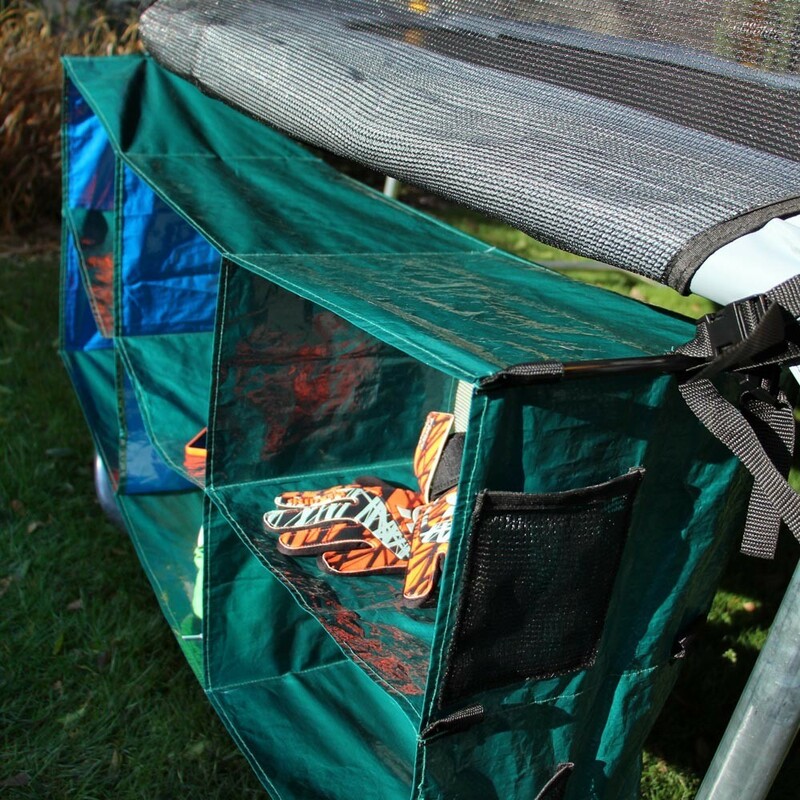 - Compatibility: no worries, this shoe storage fits all trampoline models.